Growing up I remember having a bowl of ice cream for dessert right after dinner nearly every night. My mom always stocked our freezer with various flavors that were on sale -- orange sherbet, plain vanilla, neopolitan, and my all-time favorite chocolate chip (but only if it was on sale). Lately, I've been really into making my own ice cream at home not only because it saves money and it's "healthier", but because I have the easiest four-ingredient recipe that can be made in less than 30 minutes. I got this simple recipe from my friend's mom about five years ago and have been making it ever since. If you're like me and loved Magic Shell chocolate topping over your ice cream since you were a kid, you'll be happy to know it's super easy to make and requires two ingredients. 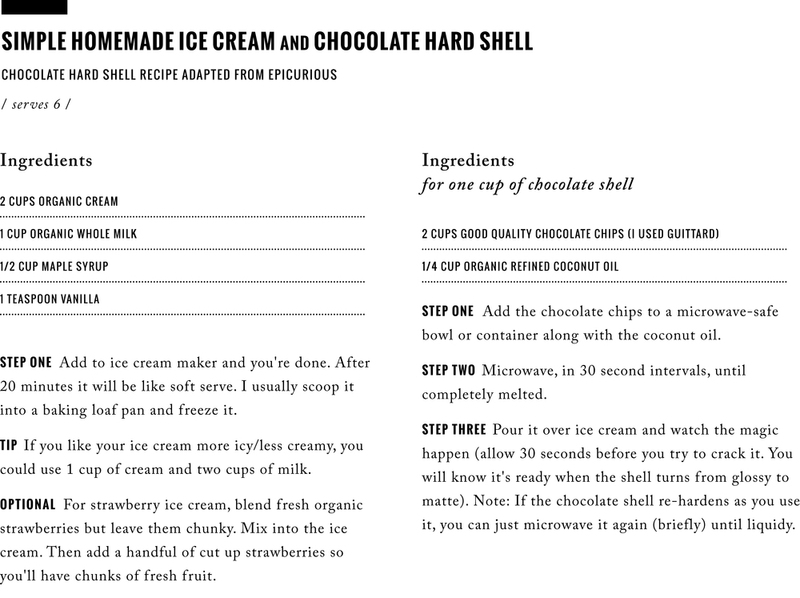 I'd love to know if you make this ice cream and/or chocolate hard shell. Enjoy!